Most Reale Girl Dolls can be machine washed on delicate in a lingerie bag or pillowcase. To extend the life of your doll I recommend air drying. 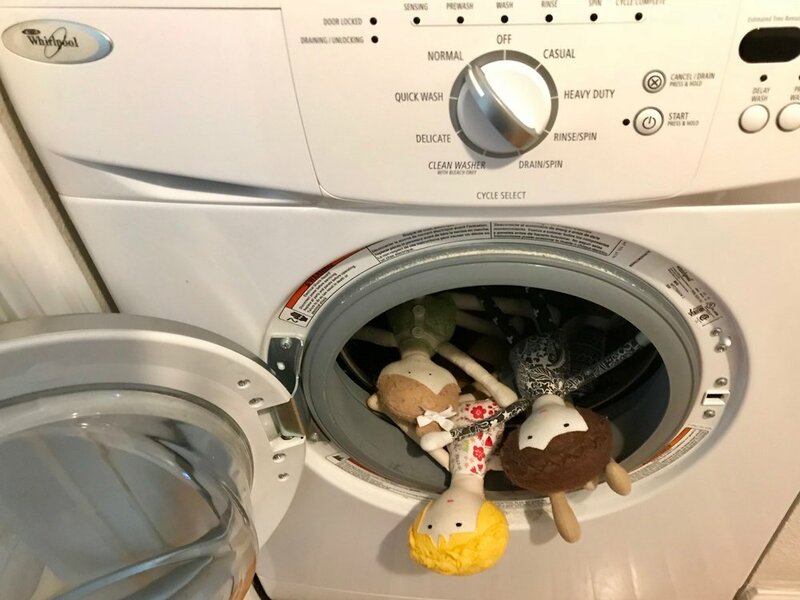 If your doll has specialty embellishments, it most likely shouldn't be machine washed. All doll's hair will eventually pill over time. This is typical of all felt. You can remove the pills with a fabric shaver or sweater pill remover. Or appreciate the character of a well loved doll. Has your doll been injured in the line of duty? Email me to discuss Doll Hospital services.